Having obtained her BA (Hons) history degree at the University of Bristol, Dr Sally Everett worked for Pearson Education, before she undertook her MA Tourism and Sustainability at the University of West of England (UWE) and then her PhD in Tourism. Whilst studying in Bristol she was the Development Officer at Brunel’s ss Great Britain (an award winning heritage and visitor attraction) and worked for a research centre for tourism and leisure (CeLTS), and then for one for transport and society (CTS) at UWE. 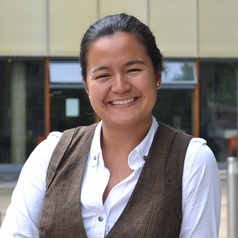 Dr Sally Everett was appointed as a Senior Lecturer in Tourism and Sustainable Development at the University of Bedfordshire, before becoming Head of Tourism, Leisure and Sport Management within the Faculty of Education and Sport. She later moved to the Bedfordshire Business School in Luton and became the Head of the Department of Marketing, Tourism and Hospitality. She moved to take up her current post as Deputy Dean at Anglia Ruskin in early 2013. Dr Everett was the Executive Officer and Treasurer of the Leisure Studies Association 2010-2014. Dr Everett is a National Teaching Fellow and Principal Fellow of the Higher Education Academy.